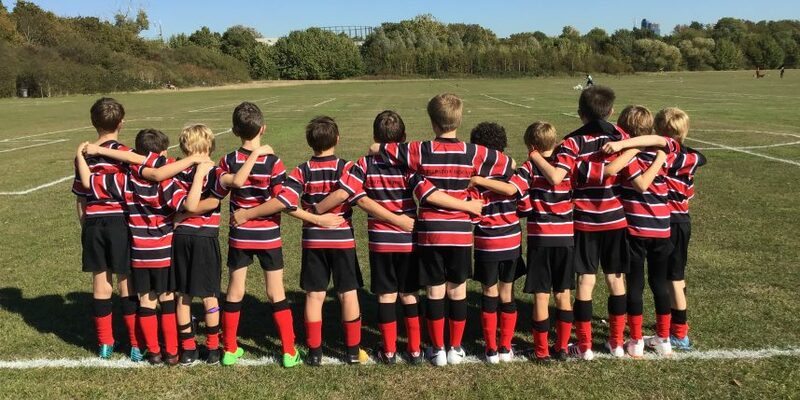 Year 4 boys descended upon Battersea Park to take on Eaton Square in three football fixtures. The ‘A’ team dominated in a 5-1 win against a strong Eaton Square team, Salar bagging three goals, along with Seb scoring two, the win was down to an astute defensive display from Tarun and Charlie. The ‘B’ team won in a tight encounter against another evenly matched Eaton Square team, the boys responded brilliantly to being a goal down to come out and win 2-1 in an impressive second half performance, Massimo and Sofian netting the goals. The ‘C’ team played promisingly in a 3-1 win, Michael shone in a dominating performance. Three brilliant wins for the year 4 teams, well done! Year 5 boys traveled to Hyde Park to participate in a football fixture against St Nicholas. The ‘A’ team played a excellent fluent passing game in a 4-1 win, Tommy, making his on field debut, excelled, along with some fantastic saves from Nico which paved the way for a solid performance. The ‘B’ team played their best football for two years in a thumping 5-1 win, every single player contributed to a successful performance, Graydon making some strong tackles as well as some good dribbling skills from Finn. Two strong performances from the Year 5’s, well done! On the 17th September Chepstow House played the Falcons. It was the first match of the season, everyone was excited and nervous. Luckily, the year 6 had year 5 with them. Everything was set up and the match was ready to begin. Both Falcons and Chepstow House played brilliantly, but we managed to pull through and win. Everyone was ecstatic and agreed that it was a great game. The end score was 6-4, Chepstow was delighted that they could carry on their ninety four winning streak. The most important thing for us is we stuck together as a team.